Mr Madila or The Colour of Nothing documents a series of conversations between the film-maker and a gifted spiritual healer, exploring the inner mind, the fabric of the universe, and the nature of reality itself, through the sacred art of animation. “Everything is mostly nothing. 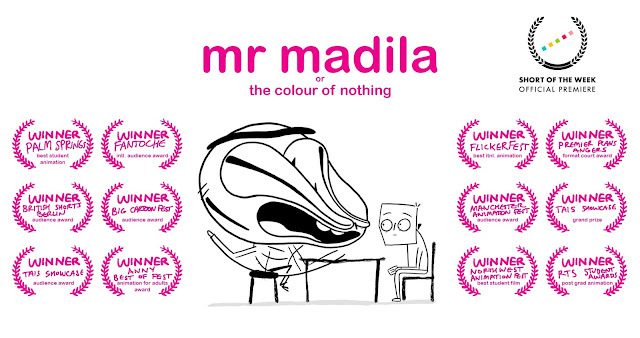 Look closely and you can see all the little bits and pieces, and all the gaps in-between.” Mr Madila or The Colour of Nothing documents a series of conversations between the film-maker and a gifted spiritual healer, exploring the inner mind, the fabric of the universe, and the nature of reality itself, through the sacred art of animation. Oooooooh.